A bow stabilizer is one of the most important accessories that anyone intending to improve shooting accuracy must always have. The product is designed to lessen bow movements or rather vibrations after a shot has been made. In addition, it balances out the bow’s weight thus being responsible of holding your﻿ bow steady during those times when it’s at full draw. That said you need not just any stabilizer but the best. 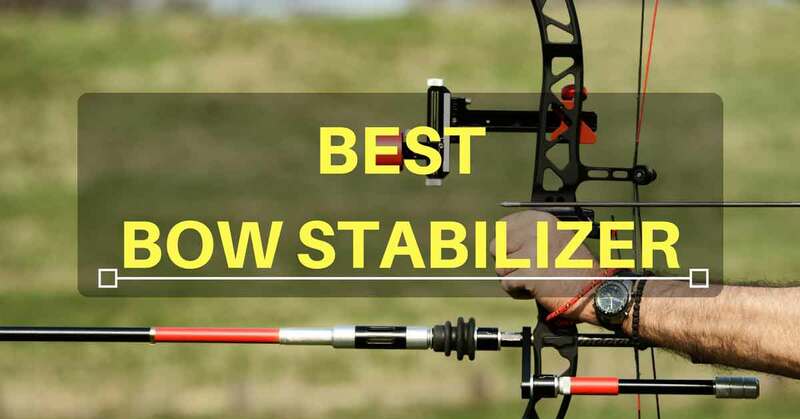 Below is a guide on how to choose the best bow stabilizer in the market. Stabilizers are designed in different colors, sizes and styles. All these are capable of screwing in whichever bow. However, not all of them will be able to work perfectly with your bow, preferences and experience. Below are some of the attributes to look for. There are different stabilizer sizes, with each size being effective for different uses and bow types. If you are a professional﻿﻿ target archer, then the longer, and heavier unit will be the best bow stabilizer for you to go for. Its important to understand that the longer and heavier the stabilizer is, the more accurate it shall be. This does not however mean that the heavier and longer stabilizers must always be prefered. If you are a bow hunder, the heavier and longer stabilizers may be cumbersome to you as you will be carrying it for long distances. In such cases, go for short and lighter stabiliezers. Just don’t be extreme in your search for lightweight and shorter stabilizers. 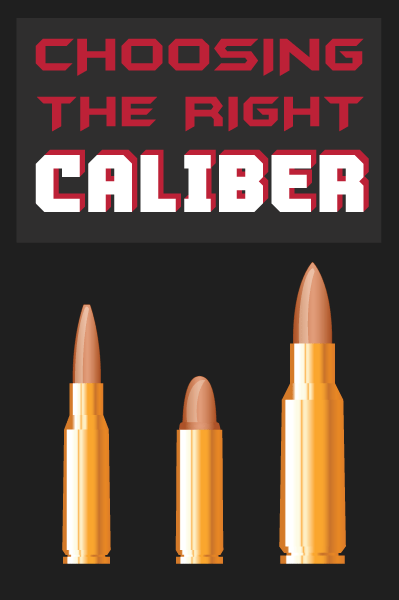 All in all, a stabilizer tha ranges between 5 and 9 inches in length should just be the best for any form of hunting or target shooting. The most common materials used include metal, plastic and rubber. In the past, wooden stabilizers were common. In some instances, a combination of two or more of the above mentioned materials are used. The material used, or its location greatly affect the units performance. The main attribute of the materials is weight though durability also comes in. you don’t want to go for a product that has been constructed using heavy metals. The best bow stabilizers in the market today are designed using carbon or ABC plastics. Remember that as much as you may need heavier stabilizers, there are limits. The feature responsible for reduction of vibration from these stabilizers is the dampener. Today, dampeners are not only designed to reduce vibration but to also absorb noise and shock. A good number of dampeners are made using rubber which is a good shock, noise and vibration absorber. The best setup is that which increases the weight on the stabilizer’s front, right after the dampener, an aspect that’s important in balance maintainance thus keeping the unit stable as you shoot. Such a set up also makes the dampener’s results to be realized the more since when the dampener is further away from the bow, vibrations are suppressed even more. Dampening devices are usually made of gel, sand or rubber. Vibration reduction does not only improve on accuracy but also reduces the risks of other accessories loosening and even falling out. This is the main pro of these products. The best bow stabilizers are able to reduce interference of the trajectory of your shots thus making it easy of you to hit your targets. As mentioned earlier, one of the other main functions of this product is to reduce vibrations. Through this, there is less shock realized on the hands. Sound is also reduced due to reduced vibrations. This is also credited to the dampener. If your bow makes noise upon shooting, that deer that you had well aimed will hear and flee thus dodging the shot. It is therefore important to reduce the noise as much as possible if at all you are to kill your targets with lots of accuracy. The dampener does exactly that. The SAS Archery Aluminum Bow Stabilizer is one of those bow stabilizers that you may really not want to miss out on. With three different weight and length options to choose from, the stabilizer fits well with a dampener thus reducing vibrations a great deal. In the SAS Archery Aluminum Bow Stabilizer, you have a solid black unit that offers incredibly performance as far as bow stabilization is concerned. The product has been designed with unique features that ensure it performs and lives long, not forgetting a beautiful aspect for those who like to get something with a taste. It is s stabilizer to beat. A very unique design, the LimbSaver S-Coil Bow Stabilizer is a very affordable and functional unit. Its ease in installation, short length and lightweight are other features that make it not only a great product to aim with but also easy to move around with. Coiled design for increase in surface area for dampening vibration thus resulting to reduced bow jump hence a smoother feel. Through the use of state-of-the-art designs and technologies, the stabilizer has been produced to be effective not only in reduction of vibration but also of noise. If you are interested in a product that comes with greatly reduced recoil thereby reducing the noise and vibration, short weight, lightweight and performance all in a single unit. For accurate shots necessitated by stable bow shots, the Trophy Ridge Static Stabilizer is your answer. The unit has been designed to stabilize shots in two main ways namely: shock & vibration absorption and addition of weight up front thus avoiding any unfortunate imbalance which would otherwise interfere with your arrow’s trajectory. In a nutshell, the unit has been designed to offer stability in a customizable manner as it absorbs shock, allowing the shooter to make blood shot accurate and precision targets even in windy conditions. An Ultra-lightweight construction, the unit’s weight can be customized by improved balance by adding. It boasts of soft touch coating for even further vibration reduction. And in the package, is a braided wrist sling among other features and accessories that do not only boast the performance of the unit in all environments but also improved aesthetics. The EBBQ Axion SSG Silencer Stabilizer features a CNC machined construction for stability and durability. With an 80% less wind resistances, the product greatly reduces the negative effects on the trajectory of your shots. In addition, it has been engineered to reduce hand torque effects whenever an archer is making a shot. Its proven harmonic damper & stabilizer feature enables it to even score high and be amongst the best bow stabilizers the market has to offer. The EBBQ Axion SSG Silencer Stabilizer is a unique stabilizer that comes with a lightweight construction but not too lightweight to compromise your shots. Its construction has been well engineered to offer efficiency when it comes to taking shots and use for a long period of time, thanks to its durability. The Compound Rubber Bow Stabilizer is a modern type of bow stabilizer whose greatness has made it to be one of the best bow stabilizers in the market today. It features an excellent vibration reduction technology, the most important thing that anyone looking for a bow stabilizer would be searching for in a unit. Together with that, you really need a unit that you can use in any weather extremities. The Compound Rubber Bow Stabilizer is truly weatherproof thus can be used in all seasons. For the Compound Rubber Bow Stabilizer to be categorized amongst some of the best bow stabilizers in the market, it means the unit is great in balance improvement, not forgetting that it features bow torque reduction characteristics. Buying and using this product guarantees you the best possible target that you can make as an entry level novice. Well! What’s the fancy about our best bow stabilizer review and list? The list ensures that if you select one of the products, you are certain that you are having one of the very best products the market can offer you when it comes to bow stabilizers. Be assured that with this guide and the products reviewed, you will be able to buy a unit that fits your situation at hand, as well as your preferences. It is important for you to consider not just going for a stabilizer but rather the best bow stabilizer. This is because it is only through such stabilizers that you are assured of either making successful shots or doing a big blunder. Why not make a wise choice now! SAS﻿ ﻿Archery﻿ Aluminum Bow Stabilizer emerges as just the best out of the lot. In today’s market, it is almost impossible to get another product that is as precise as this product. Credit is given to its relatively good length as well as its lightweight feature, but not too lightweight to compromise the accuracy and precision of the shots. In fact, you have the choice of choosing different weights for your specific needs. And to those who love aesthetically appealing products, the SAS﻿ Archery Aluminum Bow Stabilizer is the best bow stabilizer for them as it is one of the most beautiful in the market.